So you’re wondering what things to do in Gillette, Wyoming as you contemplate your move or visit here? We may be a small town, but as we continue to grow there is more and more to do in Gillette. The Campbell County Recreation Center had its Grand Opening Celebration on April 7, 2010. The new facility features many new amenities, including a rock climbing wall resembling Devil’s Tower that decorates the lobby. This facility also includes a six-lane lap pool, a three-meter diving platform,a zero-depth leisure pool including two water slides, a lazy river and many toy features, three basketball courts, four racquetball courts, elevated walking track, kids zone used for baby-sitting, concessions, weight room, cardio area, three exercise rooms, two birthday party rooms, two tanning beds, training and locker rooms. This unique 190,000-square foot facility has the advantage of combining a full-service recreation center with a multi-use competitive sports and training facility. Not to mention you can rent space out for parties for the pool or rock climbing. Either for healthy habits or fun and entertainment this new attraction is a top hit when it comes to things to do in Gillette, Wyoming. Looking for something to do in Gillette, Wyoming that’s a little more on the cool side? 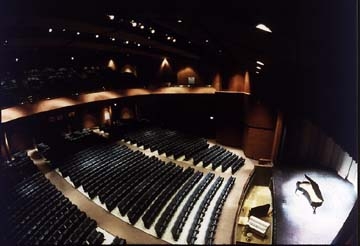 The Spirit Hall Ice Arena is located in the east end of the Wyoming Center at the Cam-Plex. This arena is a full size NHL rink offering large space for recreational skating, figure skating and hockey games. The lobby here is fully heated with huge windows for spectators if you’re too shy for the ice and offers concessions. Looking for other things to do in Gillette? We mentioned the Cam-Plex just above, and it’s not just for Ice Skating! These multi-event facilities home many fun activies – there always seems to be something going on at the Cam-Plex. 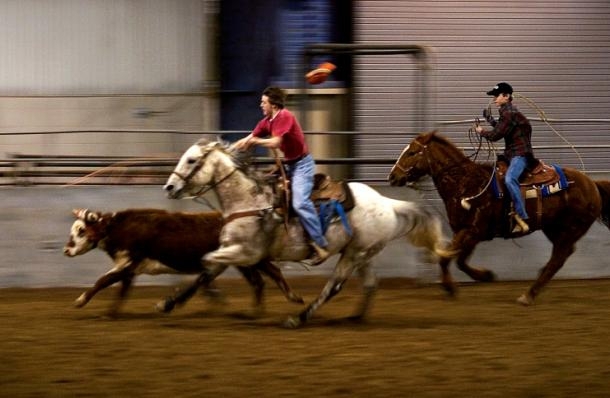 Depending on when you’re visiting the events are always changing – you could attend an art auction, watch horses and riders perform in rodeos, go to concerts, musicals, and plays and even enjoy specialized events like an Australian storyteller and performer! There are always things to do at the Cam-Plex here in Gillette, Wyoming. Looking for more simple, laid back things to do in Gillette, Wyoming? The city homes two bowling alleys – Camelanes and Frontier Lanes or you could simply check out the Foothills Theater to catch that flick you’ve been wanting to see. Perhaps you’re more artsy? Stop by the local community art center, AVA, and see what Gillette has to offer in the ways of art! Those are just a few things to do in Gillette, Wyoming. However, now you’re needing a bite to eat as the day winds down? Don’t worry. Gillette has a variety of restaurants: Applebees, Bootleggers, Old Chicago, Prime Rib, Skyline Grille, and a soon to be Jordan’s Restaurant amongst others and your normal fast foods. 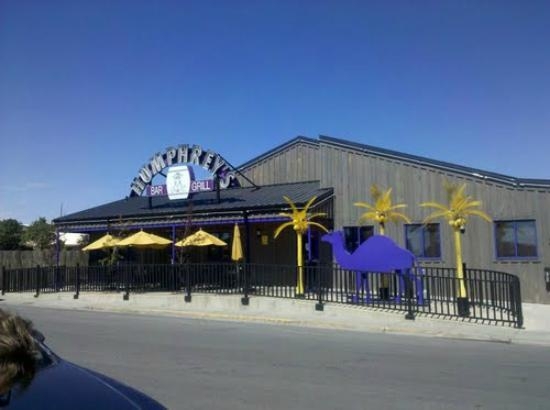 However, if you’re searching for a unique dining experience you should visit Humphrey’s Bar & Grill, honoring the town’s mascot. With the walls cluttered with fun memorabilia of Gillette’s history, a nice staff, and interesting foods and drinks, you have to try this place! So come on, we may be a small town in Wyoming, but there are plenty of things to do in Gillette, especially in good company!